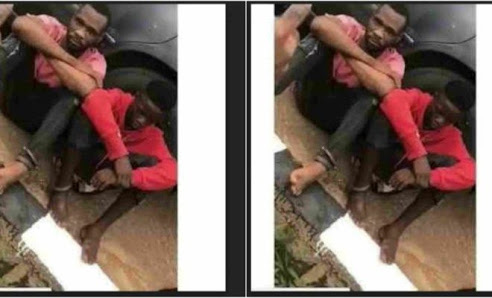 A 41 year old suspect identified as Fidelis Nelson (aka Mp), and leader of dare-devil robbery gang operating within Lagos and Ogun state has revealed that he went into armed robbery to raise money to build his church. “I have a pastoral calling; unfortunately I don’t have money to start my church. I have had the calling for a while years but to finance to make it a reality”. The gang met their waterloo on the 16 of June, after the police received credible information indicating that some group of dare-devil armed robbers specialised in snatching cars in Ogun state and thereafter bringing their loots to Lagos to sale were planning an operation. Armed with this intelligence, ambush was laid for them by FSARS operatives and conventional policemen from the command leading to the arrest of six suspects. The suspects identified as Emmanuel Ogaba aka tablet, (45), Matthew Ogaba (30), Fidelis Nelson aka MP (41), Augustine Stanley, (31), Abayomi Adebisi, (42), and Emmanuel Olusegun (37) were arrested in Lagos. Also recovered from the suspects are the following Items: One Toyota Camry car, one toy gun and various sim cards.